There’s a reason why breast augmentation was the leading cosmetic surgical procedure in the United States in 2017 with over 333,000 procedures — the results are worth the effort. 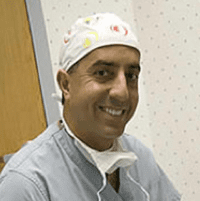 At Pousti Plastic Surgery, board-certified plastic surgeon Tom Pousti MD, FACS, has helped women in the San Diego area for over two decades as they achieve the profile of their dreams through breast augmentation. To learn more about what breast augmentation can do for you, call the office or use the online scheduling tool. Please visit our photo gallery to see thousands of patient before and after images. Ultimately, Dr. Pousti understands that your reasons are your own. His role is to tailor and execute a breast augmentation procedure that meets your cosmetic goals. What types of breast implants are used? Saline implants are filled with sterile water and come with the advantage that you only need a small incision for these implants. During your procedure, Dr. Pousti inserts a deflated implant and only fills it to your desired size once it’s in place. The other advantage of saline implants is that should they leak, your body naturally absorbs the contents. Silicone implants are filled with silicone gel, which looks and feels very much like a natural breast. Dr. Pousti needs to make a larger incision to place silicone implants, but he ensures that the incision is discreet. If a silicone implant ruptures, you don’t lose the effects of the implant because it doesn’t deflate like a saline one. Silicone implants come in various shapes and sizes, including round shapes and teardrop shapes. Your anatomy and goals will largely dictate where Dr. Pousti places your implants. Does a breast augmentation include a breast lift? It can, but it’s a much more complex procedure because of the opposing goals. In a breast lift, Dr. Pousti needs to remove tissue to lift your breast and an implant will stretch your tissue. Still, you can lift and augment your breasts thanks to Dr. Pousti’s expertise, but you may be limited on size. The size of the breast implants you choose is your decision to make, but it’s important to find the right plastic surgeon who understands how to correctly place XL implants. Dr. Pousti has the experience and knowledge to help women achieve whatever shape of breast they want, including overly large breasts in the 635 cc to over 1,000 cc range. If you’re searching online for “breast augmentation near me,” call Pousti Plastic Surgery instead or use the online scheduling tool to book an appointment.